When looking at potential UK destinations for a weekend away, North Yorkshire will almost certainly crop up. It’s the biggest county in the country and is home to some truly stunning towns and cities. While your long weekend away may include a few excursions, Harrogate is most definitely the perfect place to stay. All UK destinations are a good starting point when travelling with anxiety. Knowing that there are fewer things to worry about and, more importantly, that you could get home without any major hassle is a major bonus. Harrogate is heralded as a great spa resort, giving you the ultimate chance to relax. The Montpellier Quarter is a particular highlight. But the Turkish baths and other spa resorts dotted around the town are worth noting. Furthermore, Harrogate B&B offerings provide ample options. So, whether you wish to find a quaint little cottage or a more modern place to stay, finding comfy accommodation is easy. Seeing manmade structures and attractions is a big part of any trip away. Nonetheless, there’s no topping nature, especially when you find its greatest selling points. Harrogate is a place bursting with stunning gardens. Valley Gardens and Crescent Gardens are among the best. Geologic formations like the Brimham Rocks are equally stunning while the Yorkshire Dales National Park are just a few miles away. The Fewston Reservoir and the Pinewoods hiking trail offer further natural beauty. 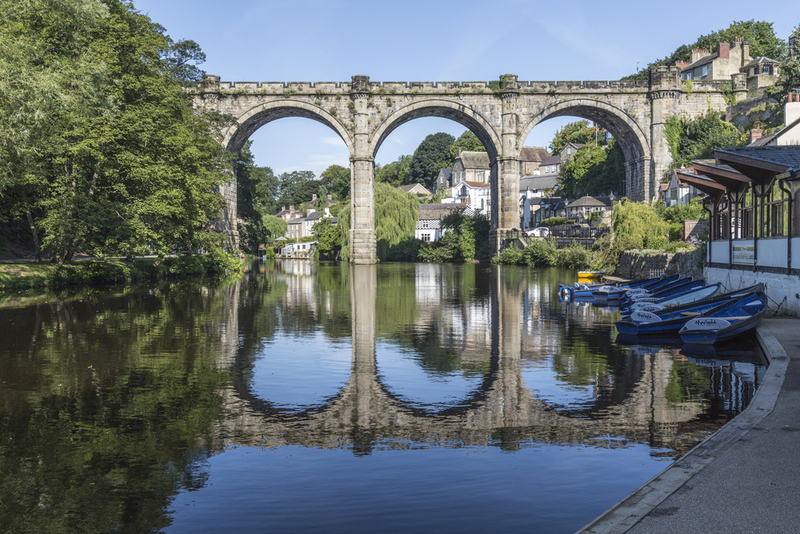 Frankly, if you’re looking to reconnect with nature during your trip, Harrogate is the place to be. Harrogate is a Victorian town and, unsurprisingly, is the ideal location to embrace a few history lessons. Venues like Ripley Castle, the Mercer Gallery, and Royal Pump Room Museum are all great examples. With a little research, you can find plenty more too. You don’t have to be religious to enjoy the stunning architecture of St. Peter’s Church. Meanwhile, the various guided seeing tours can help you learn about the history of Harrogate, Yorkshire, and Britain. The once-in-a-lifetime experiences abroad are great. Nevertheless, knowing that you might not get a chance to enjoy them back home can be a little frustrating. Harrogate encourages you to enjoy hiking, cycling, and even wall climbing. Better still, you can take those new hobbies back home.